Jeff discovers he’s a serial killer clone—and he’s got to track down others like him before it’s too late in this Bram Stoker Award–nominated novel, a thrilling YA companion to Cain’s Blood. This dark, literary thriller is a story about blood: specifically, the DNA of the world’s most notorious serial killers, captured and cloned by the Department of Defense to develop a new “breed” of bio-weapons. The program is now in Stage Three—with dozens of young male clones from age ten to eighteen kept and monitored at a private facility without any realization of who they really are. Some are treated like everyday kids. Others live prescribed lives to replicate the upbringing of their DNA donors. All wonder why they can’t remember their lives before age ten. When security is breached and the most dangerous boys are set free by the now-insane scientist who created them, only one young man can help find the clones before their true genetic nature grows even more horrific than the original models: a fifteen-year-old boy, an every-boy…who has just learned that he is the clone of Jeffrey Dahmer. Born in Germany, raised in New Jersey, and currently living in Ohio, Geoffrey Girard graduated from Washington College with a literature degree and worked as an advertising copywriter and marketing manager before becoming a high school English teacher. He is currently the English department chair at a private boy’s school in Ohio and is a Masters candidate in creative writing at Miami University of Ohio. Visit him online at GeoffreyGirard.com. 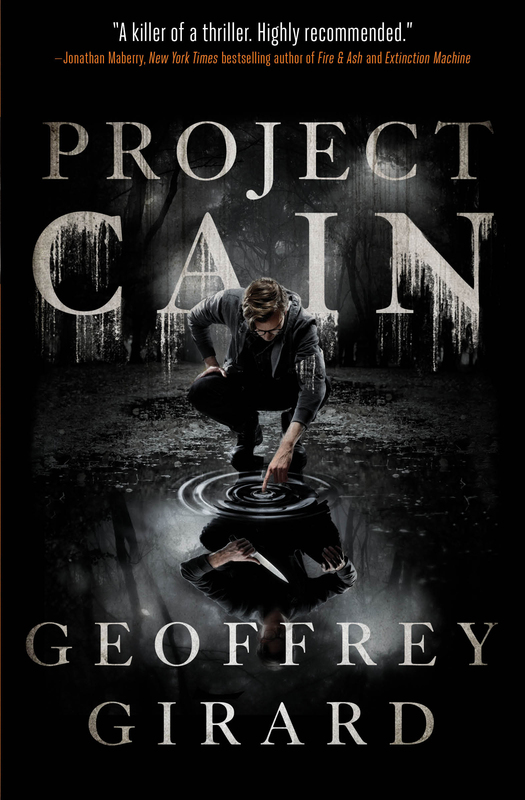 "In Project Cain powerful newcomer Geoffrey Girard brings serious game with a novel that blends science and horror in a killer of a thriller. Highly recommended." "This book is an absolute grabber from the get-go. Geoffrey Girard has taken an outrageous idea and made it utterly and terrifyingly believable. Fortified by solid historic and scientific foundations, the story is as convincing as it is frightening, with enough twists and surprises to keep even the most jaded reader captivated."